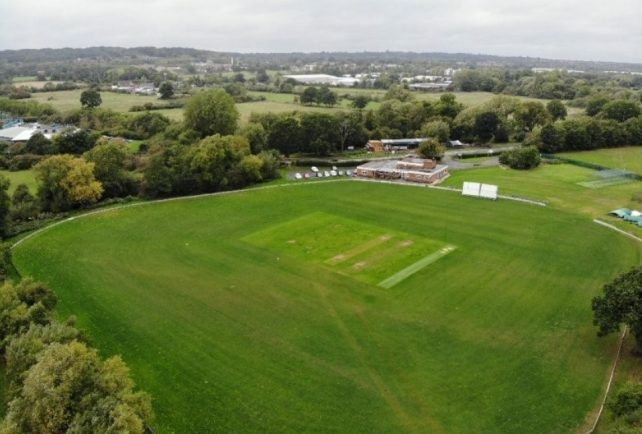 Aerial view of Studley Cricket Club. Picture by Jack Williams. STUDLEY Cricket Club have made a plea to local companies to sponsor the club in order to fulfill a £20,000 quota for a new boundary fence. The 400-metre fence around the perimeter of the site that currently exists on the grounds has been rendered unsafe and beyond repair, with sponsorship’s required to help cover the brunt of the expense. Prospective sponsors are promised to be entered onto a commemorative ‘thank you’ plaque that will be located at the club’s entrance, with recognition across Studley CC’s social media pages. £100 per fence panel is the requested amount, with 200 panels in total required to cover the entire boundary of the club, with work hoped to have been completed by the beginning of the 2019 season. Studley Cricket Club stated: “The boundary fence is an important part of the club’s history. Replacing it has been a wish of ours for a couple of years now, hopefully with help we can finally complete it. The non-profit club is currently volunteer-ran with three Saturday league sides and a junior section fielding sides between the ages of nine and 16, with fixtures for the over 60’s, 70’s and an England Disabilities XI all held at the club in the past. Club officials also urge any keen cricketers to join them for the upcoming season, with winter training set to get underway for the senior side on 3rd February, new players are asked to contact the club by phone on 01537 853668.